With summer here, many families will take many (or at least one!) family vacation. If you have a newborn or small baby, traveling can be hard on baby and parents because of the baby having to sleep in a new environment and it can be stressful to find a safe and quiet spot for baby to sleep comfortably. So as you start your vacation planning, let me ease your stress just a little by recommending Summer Infant's Resting Up Napper. It provides a comfy - and safe - place for baby to rest or sleep soundly. This innovative chair features a 30% incline, which many pediatricians agree creates optimal sleeping conditions. The mesh sides provide breathability and since there is no hardware underneath the seat, there is no risk of mold. Many moms and babies really love nappers, and the Resting Up Napper is the safest on the market. Other features include soothing vibrations & sounds, as well as a three-point safety harness. My favorite part is that the Resting Up Napper folds easily for transportation in the home or on family trips. Traveling with children already entails A TON of extra luggage and accessories and room easily runs out in the back of your vehicle. But this napper folds up quickly and easily and doesn't take up a lot of room or hands to carry! If you are looking for a place for your new baby to sleep both at home and on your summer vacation, then get the Resting Up Napper and take one stress away from the many stresses of being a new parent! 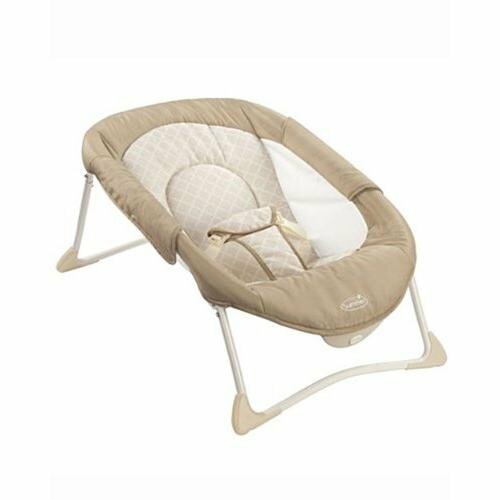 Buy It: You can purchase the Summer Infant Resting Up Napper at Target, Toys "R" Us and other local and online retailers for a price of $49.99. Win It: Summer Infant is generously offering (1) Resting Up Napper to a lucky winner!